What is the Alternative Depreciation System? The Alternative Depreciation System (ADS) is a system the IRS requires to be used in special circumstances to calculate depreciation on certain business assets (depreciable assets). ADS generally increases the number of years over which property is depreciated, thus decreasing the annual deduction. To explain this concept, step back and review the concept of depreciation from the IRS point of view. Depreciation is an accounting method for spreading out the cost of a business asset over the useful life of the asset. Because depreciation affects your business taxes, the IRS has specific (and very complex) rules for how a business asset, like a business vehicle, furniture, and computers, are depreciated. For depreciation purposes, every item of business property (like the desk in your office) is assigned a property class and a useful life (this is called the "recovery period."). Why go to all this calculation? Because, for every asset in your business, the yearly depreciation expense must be calculated. Depreciation expense is important because it lowers your business taxes. The IRS wants to be sure you don't take too much depreciation expense, and you want to be sure you take as much as the IRS allows. Each general kind of business asset is assigned an asset class, based on the expected life of the asset. The expected useful life is different for the General Depreciation System (GDS) and the Alternative Depreciation System (ADS). (These terms are explained below). For example, your office desk is under the category of office furniture, Asset Class 00.11, that has a recovery period (useful life) of 7 years under the GDS and 10 years under the ADS. Now we know the recovery period; now we need to know which depreciation system to use. What are the Two Depreciation Systems? 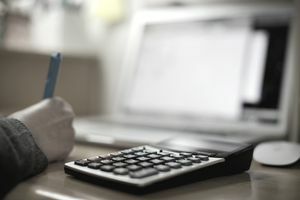 For business assets purchased and used after 1986, the Modified Accelerated Cost Recovery System (MACRS) of depreciation must be used, according to the IRS. MACRS, or Modified Accelerated Cost Recovery System, is currently the method the IRS has approved for companies wanting to accelerate depreciation on business equipment. MACRS includes an asset classification system which shows the number of years of depreciation for each type of asset. MACRS includes two depreciation systems, the General Depreciation System (GDS) and the Alternative Depreciation System (ADS). These two systems provide different methods and recovery periods for calculating depreciation deductions. Businesses generally use the General Depreciation System unless they are required to use the Alternative Depreciation System. The General Depreciation System uses what's called a "declining balance" system of applying depreciation each year. That is, depreciation expense each year is based on the initial cost minus accumulated depreciation from all previous years. For example, if the initial cost of your office desk is $1000 and first-year depreciation is $143 (using a 7 year recovery period), the balance at the end of the first year is $857. So, the second year, the depreciation is calculated at $857, and the second year depreciation expense is $122. How Does Alternative Depreciation Work? The ADS system sets depreciation as an equal amount each year, except for the first and last year (because they might not be a full twelve months). As noted above, this method results in more years of depreciation, lowering the annual depreciation cost. You must use the ADS system for all assets in a specific class, but you can depreciate real estate on a property-by-property basis. Once you have chosen the alternative depreciation system for an asset, you can't go back to the general depreciation system. Why Use the Alternative Depreciation System? Certain types of tax-exempt property. Some businesses elect to use ADS. The IRS allows the election of ADS but it "must cover all property in the same property class placed in service during the year." One example of a property which must use ADS depreciation is residential rental property located in a foreign country; it would be depreciated over a 40-year recovery period. Check with your professional tax advisor for more information on which depreciation system you should use to get the best tax benefit for your business.